While everyone focused on Gilbert Arinaitwe the man who brutally arrested opposition leader Kizza Besigye, a second controversial face has been unveiled. Kirunda Kiveijinja, Internal Affairs Minister last week said Kizza Besigye’s arrest was warranted, the fact that he sprayed a policeman with pepper spray and also used a hammer to scare away policemen. 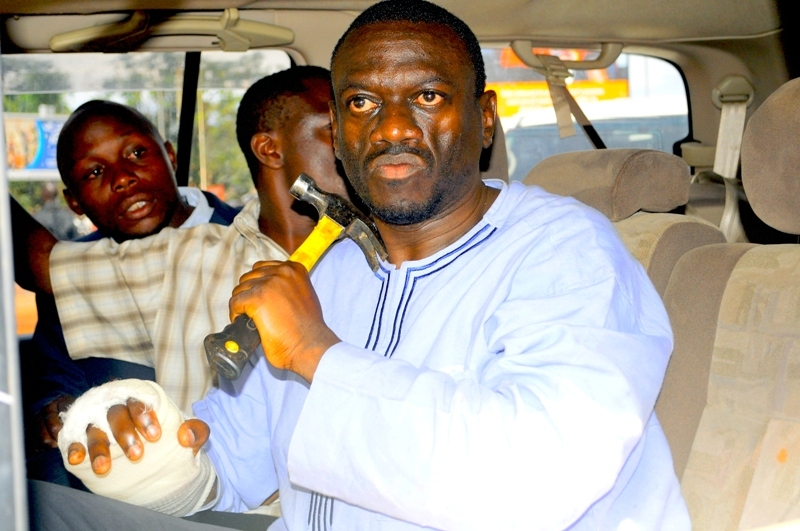 In his own words: “At this time, a senior police officer approached the left window of Dr. Besigye’s car urging him to drive off. The officer was sprayed with a can of pepper spray by one of the associates of Dr. Besigye who was seated with him in the car. “He and his group in the car had clear intentions to do harm to the police. This was exemplified by the equipment of the pepper spray used by one of his aides to spray the eyes of the police officer while he, himself was handling a hammer threatening police with words, “I will hammer you,” said Kirunda Kiveijinja. 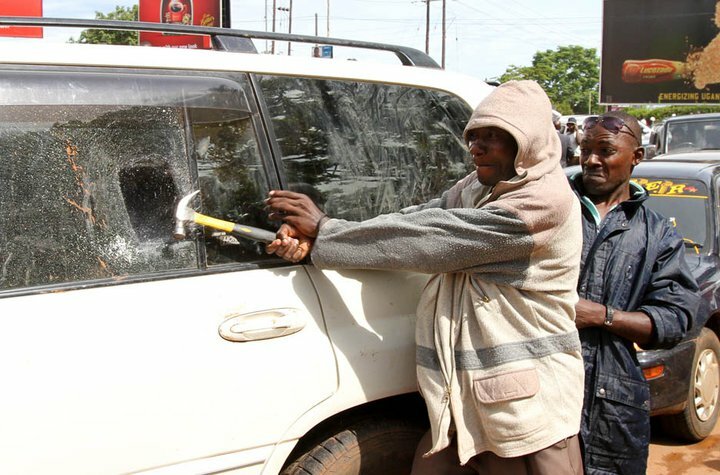 Plane clothed security men started breaking into Kizza Besigye’s car before the hammer fell inside. He must have been irritated by these actions. So he picked the hammer and tried to defend himself from these uncompromising security men. It’s time the discussions are taken forward towards exposing culprit number two: THE HAMMER MAN.